We host an annual conference in spring each year to bring project partners, local contacts and international associates together. 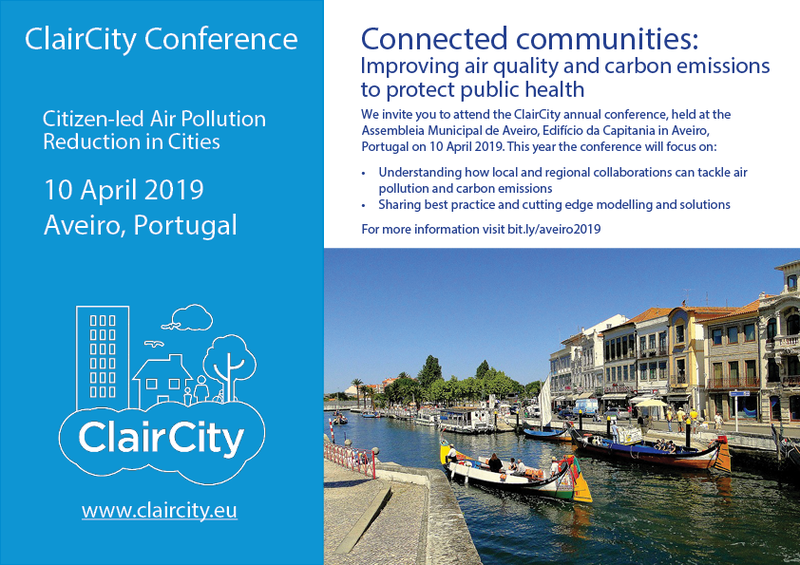 Our next conference is in Aveiro, Portugal on 10th April 2019. We are hosting talks from local, regional and international organisations as well as sharing our own work. Attendance is free but places are limited. Sosnowiec, Poland April 2018 : Protecting citizen health: Mitigating air pollution from domestic heating and transport. Szetendre, Hungary April 2017 : Tackling urban air quality: citizen-led approaches.